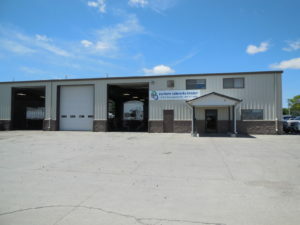 You’re welcome to visit us anytime at Eastern Nebraska Trailer Repair & Leasing in Norfolk, NE. Welcome To Eastern Nebraska Trailer Leasing. We specialize in hopper bottom trailers for rent in Nebraska. We are a full service trailer rental & trailer repair company. We offer grain hopper bottom trailers for rent in Nebraska. Please call for more information if you need repairs or are looking for a hopper trailer rental. Tandem axle Grain Hopper is 1200 a month. 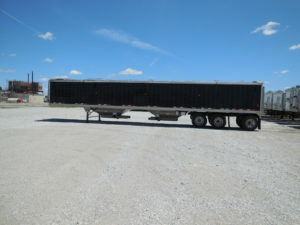 Triple Axle Grain Trailers are 1500 a month. The renter is required to insure the trailer for actual value of the trailer. Shorter term rentals are available and can be arranged just call us and ask about it. We have a variety of trailers, some shorter, some taller, tripls and tandems. Some of them have electric tarps and some don’t please call and ask for more details. Regular maintenance is done at Eastern Nebraska Trailer in Norfolk NE. Any damage is the responsibility of the renter while it is under contract and rented. If you are looking for reliable grain hopper trailers for rent in Nebraska, you can always trust the quality vehicles at Eastern Nebraska Trailer Leasing Company. Our highly dedicated team provides excellent services at affordable prices any time you need a reliable grain hopper trailer for harvest or other needs. 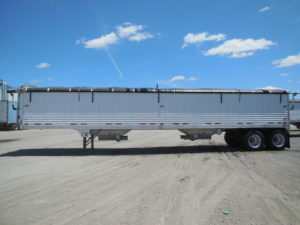 We have several types of grain trailers for rent available including triple axle and tandem axle hopper trailers. These services are available for both farmers and commercial business owners. ENT Leasing offers several hopper trailer rental pricing plans to cover monthly, seasonal, and yearly use. If you would like more information about any of our hopper trailers, contact our grain trailer rental experts today. You can also browse through our website. We have the experience and know how required to provide you with the best service. Expert staff Our staff are trained by the best. They are also equipped with the best equipment and knowledge to provide grain trailer rental and repair services. Variety of Options Whether you require hopper bottom trailer rentals for harvest or for any other needs, we have just the thing. We offer a wide range of trailers to suit your need, tandem and triple axle hopper trailers. Quality Nebraska Vehicles Our company prides itself with quality vehicles that are serviced regularly. With our vast fleet of high-quality grain hopper trailers, you are sure to find exactly what you are looking to rent or lease. We have both Tandem and Triple axle trailers for rent. Fast response time We value our customers and with just a single call or email, we will be at your disposal. If your business operates in Nebraska or within a reasonable distance that you’re willing to drive to Norfolk to pickup your hopper trailer rental, call now. Financing We offer highly competitive pricing. Eastern Nebraska Trailer Leasing Company can provide a quote beforehand to ensure the client is able to cover the bill. 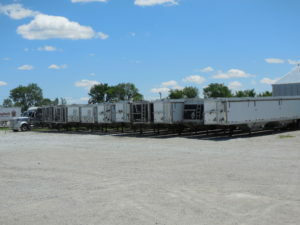 Our prices are reasonable and affordable with hopper bottom trailers for rent. Nebraska Value Added Services ENT Leasing offers value added services and exceptional customer care services. With just a call, one of the staff will be at your disposal fully equipped to provide seamless, quality services within a short duration of time. We provide hopper bottom trailer rental in Nebraska as well as trailer repair. Here’s one of our Triples. Call for more details! Guaranteed Quality You can count on us for on time feedback, fast, quality services, quality trailers, and top-notch professionalism. If you need grain hopper leasing services, then ENT Leasing Company is just what you are looking for. Give us a call if you have any questions or if you wish to rent a grain hopper trailer from us. You will not be disappointed by the professionalism and expertise that ENT Leasing has to offer. Our staff is highly trained to ensure quality and professional services with every grain hopper trailer rental. We come highly recommended because we take our work very seriously. Our company specializes in the management and maintenance of all grain hopper trailers. We promise that the services and appearance of the trailers will always be at their optimal level. Contact us if you have any queries about out daily, weekly, monthly, seasonal, or yearly truck rentals. You can also get in touch with us if you require a quote before working with us. As you can see we know how to handle all types of Grain Trailers!